Skype for Business is an application used for professional meetings. It has the unique feature of being integrated into Microsoft Office programs. Choosing Skype for Business is a smart decision for many business owners –in fact, many companies are increasingly turning to this method of communication for a variety of reasons. Significant Savings on Business Calls. Communications are an integral part of any business. Skype allows businesses to significantly cut costs when it comes to business calls – in some cases, calls are even free if both parties use Skype. International calling fees are offered at some of the lowest rates on the market. Increased Productivity. Skype can eliminate (or at least reduce) the need for a company to send employees on business trips because meetings can be held through video calls across the world. Travelling involves a lot of time out of the office and thus, increased costs and potential loss of productivity. Skype can be used for any type of traditional meeting, including client and board meetings. Skype also allows users to easily communicate while on the road. Skype for Business features, like Skype Meeting Broadcast allow business owners to hold meetings for up to 10,000 people, even while travelling. Productivity is also increased through Skype’s infrastructure, which offers a one-stop-shop for calls, video conferencing, instant messaging and sharing documents. You can also communicate across various operating systems and devices, including Windows, iOS and Android. Spending Can be Tracked. Traditional phone services often make it difficult to determine precisely how your business is spending its budget. Skype Manager makes it easy to give credit to employees and track this spending from a central account, which plays an integral part in determining where your savings can be realized. Easily Keep in Contact with Employees and Customers. Skype’s instant messaging feature makes it easy to keep in contact or send files with employees, which is essential for an efficient business. It also allows businesses to communicate easily with customers, which is essential to establish trust with your customer base. Even more, customers can make calls to you directly on your businesses’ website, which makes it easy and inexpensive to reach you. Cuts Costs Related to Business Travel. Travel inevitably involves expensive costs, especially if flights and hotels are involved. Over time, these costs can significantly diminish your overall revenue. 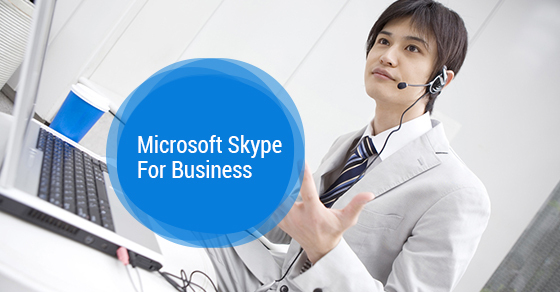 If you have any questions regarding the application of Skype for business, give us a call today. We’d be happy to discuss how this service can benefit your company.